In my last blog post, we discussed the imperative of outlining what it is you want to accomplish before you start an engagement. Now that you have your goals in order, it’s time to start considering the scope of the project. Knowing your scope will help you set and maintain expectations, curb any biases, and aid you in finding the best implementation partner for the job. In order to determine the scope of your project, you must first understand what kind of project you are undertaking. Are you tackling an all-encompassing transformational change or just a lower-level app implementation? A transformation is comprised of multiple types of projects, and the level of effort and coordination is much larger, so each project can even have its own mini strategy engagement. Within a large transformation, you might have multiple streams of work happening simultaneously. For example, Simplus is currently working with the largest search engine in the world on the discovery phase for its CPQ/QTC workstream. But this is just one piece of the equation—another vendor is managing the overall transformation of the project, such as moving from one Salesforce platform to another and all the opportunity and sales lifecycles. Then there’s the prospect of change management across the entirety of the organization to ensure user adoption of the transformation. The level of effort of a roadmap and strategy engagement at that level is much different than at an application level. Whereas a transformational project is typically more broad in scope, a lower-level project is usually more targeted to one or at most a few stakeholders. What platform do you want to implement? How long does it take to implement that platform? How do you engage your stakeholders? It doesn’t matter if you are doing a full-blown transformation or just implementing a single application. It’s important to invest in these considerations to achieve the best results. People in executive positions tend to have a subconsciously biased view. And this has a lot to do with the pressure put on that position—executives are constantly concerned with keeping everything on time and under budget. However, deliverables change and sometimes things don’t always pan out exactly as they were proposed. No matter what level of power you have in the project, you are constrained by the process. But everyone involved in a project is going to have a different perspective of the work that is being done. It’s important to keep your scope open when entering into a project. It’s best to understand the estimates at a high level and work backward to achieve this. Instead of thinking “What are my constraints for this project?” think “What are my goals and how am I going to get to those goals?” When you tackle the challenge of scoping in this manner, you are allowing yourself to be in a position of proactivity—not reactivity. There is always value in having a partner come in and look at your roadmap and do a validation check against it. An implementation or advisory partner has the expertise and experience to guide you, help you understand, and revise your roadmap and scope. There is a common misconception that you need to hire a Salesforce partner that aligns with your industry-specific needs. While it can sometimes be beneficial to go this route, I’ve found that when you go with a partner with a wide knowledge of industries, you’re getting access to a variety of solutions and ideas—innovations that partners that confine themselves to an industry just don’t provide. 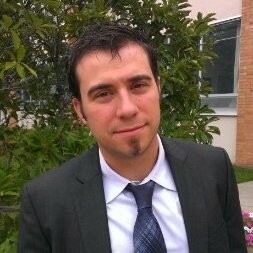 What is your implementation methodology? 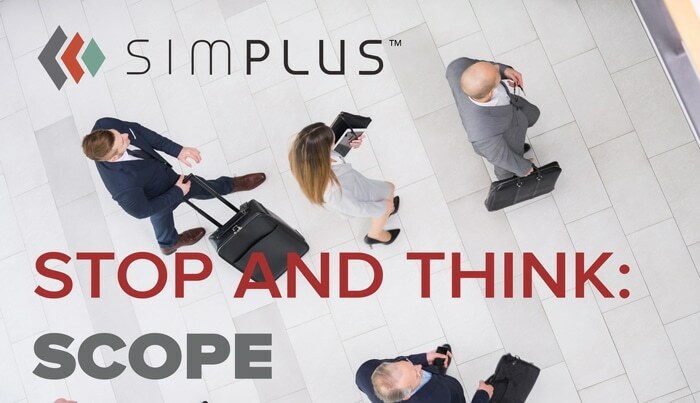 It does not matter if you are looking for a massive transformational implementation or just an integration of an application, Simplus is here to help you stay true to your scope, roadmaps, and goals in any capacity you need. And with over 2,000 satisfied clients across every industry, we’re prepared for anything. Reach out today. Tyler Perleberg is a Strategist with Advisory Services at Simplus. Tyler takes a pragmatic approach to strategy and organizational change management engagements. Leveraging experience as a trusted advisor for Fortune 100 companies both internationally and domestic, Tyler seeks to enable companies to be a better version of themselves. He specializes in both business and technical transformational services with a specialty in strategic planning. Additionally, he leans on process improvement and end user adoption to mitigate dependent and long-term program risks, ultimately maximizing client success and value!